Yaaay, I'm actually producing thiiings. 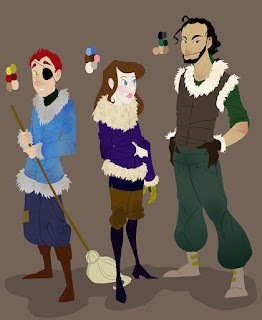 Sherlock, Suka, and introducing Lance, all done up in their winter gear. Lance doesn't much feel the cold, I guess. Too sleepy to go on for long.